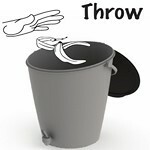 The Urban Composter is a super indoor solution for recycling food waste and is very easy to use. Here is a step by step guide. 1: Place your composter bucket in your kitchen or alternatively in other easy to reach locations such as the garage or on your balcony. 2: Lift lid of Urban composter and add your food pealing and scraps. (You can even use meat or fish). 3: Spray on some of the composter scrap and the fermenting process will begin. 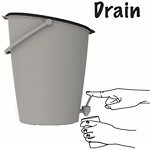 4: After a few days you can use tap to release and drain liquid from the bucket. 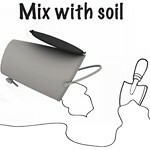 5: Dilute this liquid with water and add to your plants as a great home-made organic fertiliser. 8: After this time period the compost will then be ready to spread on the garden, top dress your lawn or add to your plant pots for great results. 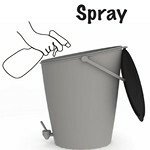 9: Use your natural citrus composter cleaner on the bucket and reuse to recycle more food waste.